At a Sotheby’s auction in Hong Kong, a fancy vivid pink diamond sold for $17.7M, breaking the world auction record for this type of gemstone. The auction continued their streak and broke the price per-carat record for Kashmir sapphire, twice. SUPERB AND HIGHLY IMPORTANT FANCY VIVID PURPLE-PINK DIAMOND AND DIAMOND RING, MOUNTED BY SOTHEBY'S DIAMONDS. Sotheby's. The piece was popular amongst the bidders and ended up selling for $17,778,247. This price sets two world auction records, one for the highest price of any fancy vivid pink diamond as well as the per-carat price for a pink diamond. The record breaking didn't stop there, as the record for the per-carat price for Kashmir sapphire was broken twice. 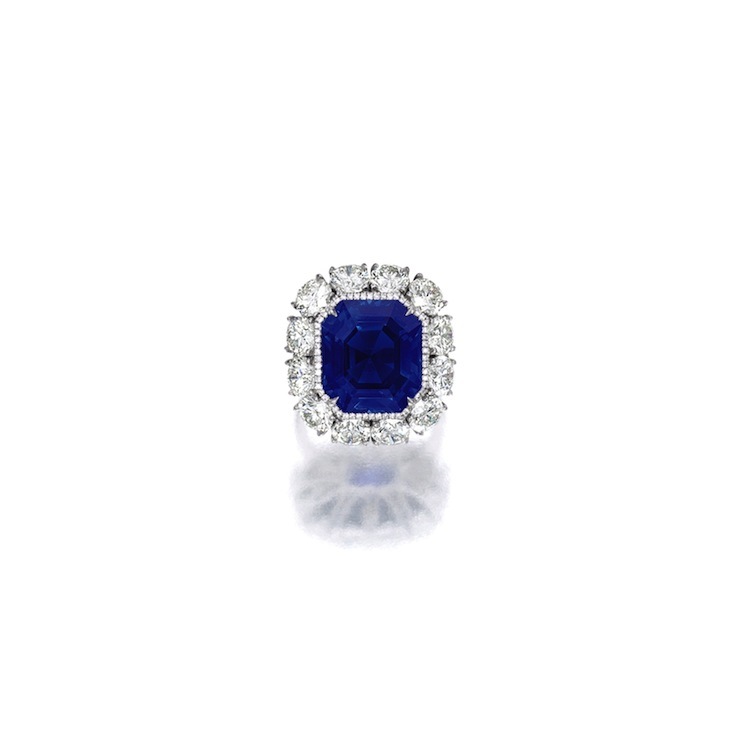 The first record breaker was a Cartier sapphire ring, which sold for $193,975 per carat. The ring held on to it's record breaking title very briefly as it was quickly snatched away by a sapphire and diamond ring, which sold for $236,404 per carat. EXCEPTIONAL AND VERY RARE SAPPHIRE AND DIAMOND RING. Sotheby's. Find more jewelry auctions at Barnebys here.